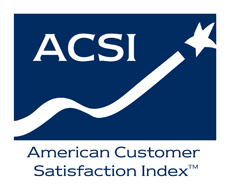 According to data released yesterday by the American Consumer Satisfaction Index (ACSI), electric cooperative consumer members are significantly more satisfied with their co-op energy provider than consumers who receive power from either investor-owned or municipal-owned utilities. In a year when consumer satisfaction overall dropped to a two-year low, electric cooperatives received an average satisfaction score of 82, eight points higher than the median score for investor-owned utilities (74) and nine points higher than the median score for munis (73). 2011 is the first year the well-regarded ASCI included cooperative electric utilities as a separate category. The survey included a random sampling of co-op consumer members from across the country. The average score for electric cooperatives topped that of FirstEnergy, the top-scoring investor-owned electric utility (78), and matched the score of Salt River Project, the top-scoring municipal (82). "These scores validate the unique co-op business model,” said NRECA CEO Glenn English. "Owned by the people they serve, cooperatives put affordable electric bills above profits and dividends. At heart, electric co-ops are local consumer advocacy organizations." The 723 Touchstone Energy Cooperatives scored higher than any other utility sector with an ASCI score of 83.